The Clinic Development Program (CDP) strives to increase access to care through structural solutions within underserved communities. Whether building a brand new clinic or converting a vacant space to a functional treatment center, the CDP focuses on cultural immersion and collaboration to create sustainable and positive change in communities around the world. In May 2017, Move Together built a sustainable rehab clinic in Villa Nueva, Guatemala. 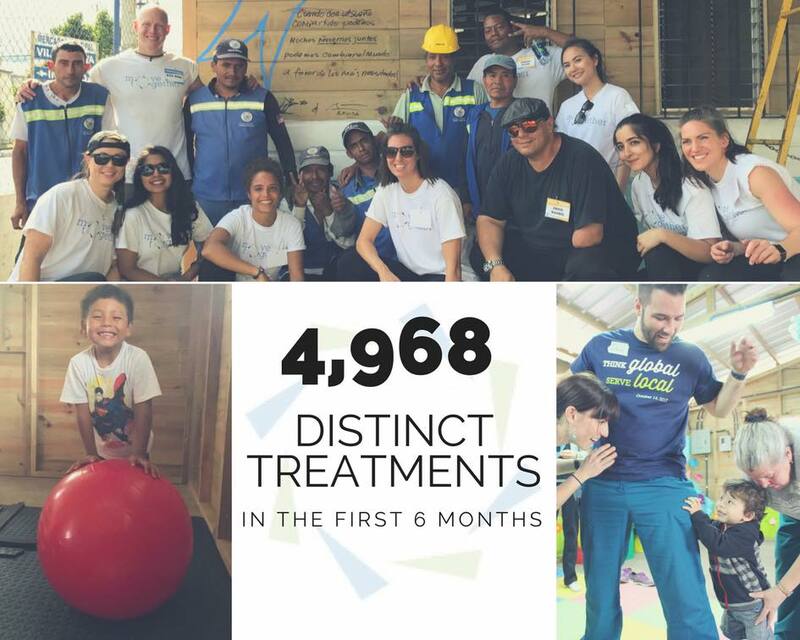 In the clinic’s first six months of operations, they had nearly 5,000 treatment sessions! If you’re interested in joining us for a Clinic Development trip, please contact us at info@movetogether.org. Move Together operates approximately 2-4 service trips per year through the Clinic Development Program. Each trip is split into four parts. Cultural Immersion: As a group, we participate in activities such as sports games, coffee farm tours, and meetings with local leadership to better understand the individuals and communities we are serving. Constructional / Educational: Depending on the nature of the trip, we work hand in hand with local PTs, students, and community members to either build a brand new clinic or enhance an existing clinic through education and resources. Clinical: The primary component of each trip is actual treatment time, where clinicians and students work with local PTs to deliver treatment to local community members, learning from each other and sustainability influencing treatment through education and modifications to patients’ plans of care. Casual: Each experience wraps up with the opportunity to see the beauty and history of the communities we visit. "An enriching experience that allows you to make a large difference within a community and grow tremendously, both personally and professionally."